(VOVWORLD) - Ho Chi Minh City wishes to further develop its ties with Japan, a strategic partner and trusted friend of Vietnam. 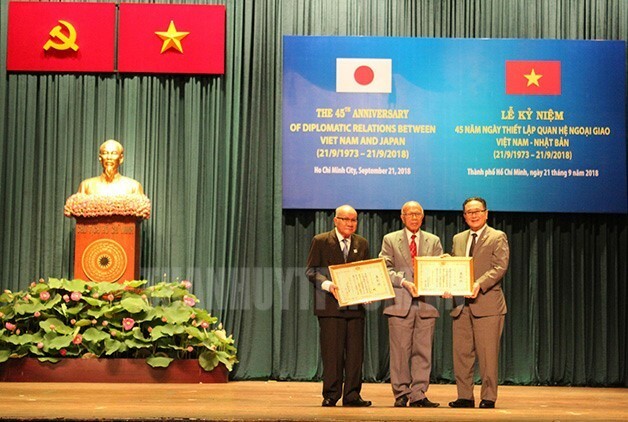 Japanese General Consul in HCMC Kawaue Junichi (R) honors people who have contributed to promoting Vietnam-Japan ties at an event on September 21, 2018, in HCMC. Le Thanh Liem, Standing Vice Chairman of Ho Chi Minh City’s People’s Committee, made the remarks at a ceremony to mark the two countries’ 45th anniversary of diplomatic ties in HCMC on Friday morning. The city has established cooperative ties with 7 Japanese localities in various fields, including training and employing midwives and industrial workers. 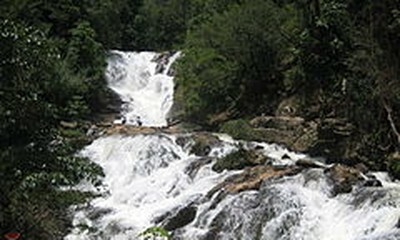 Both sides have organized diverse activities in terms of boosting bilateral cultural exchange, people-to-people diplomacy, and human resources training. "It’s possible to say that HCMC best symbolizes the development of bilateral ties between Vietnam and Japan, with many ODA projects closely related to the city-dwellers’ living conditions such as projects on Cho Ray hospital, urban railways, and exchanges between localities of both sides. The Japanese General Consulate will do more to strengthen the fine relationship between Japan and HCMC, and with Vietnam in general", said Japanese General Consul in HCMC Kawaue Junichi at the meeting.